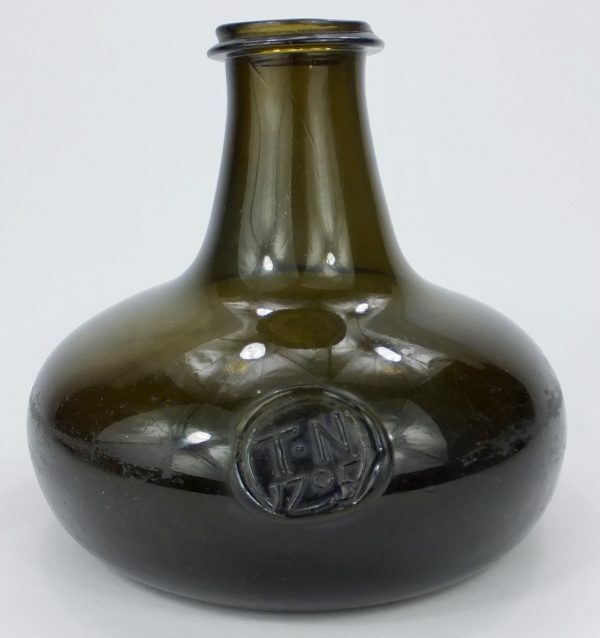 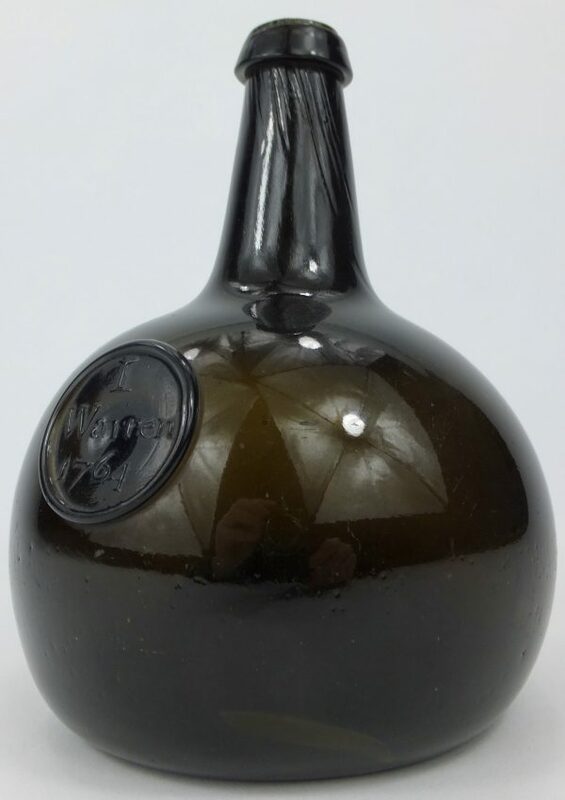 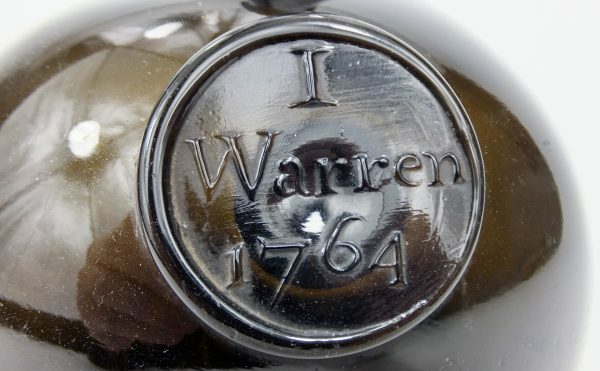 An exceptional example of a very rare late form onion bottle with dated seal I. Warren 1764. 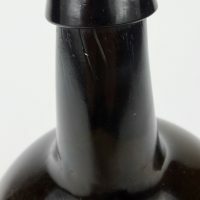 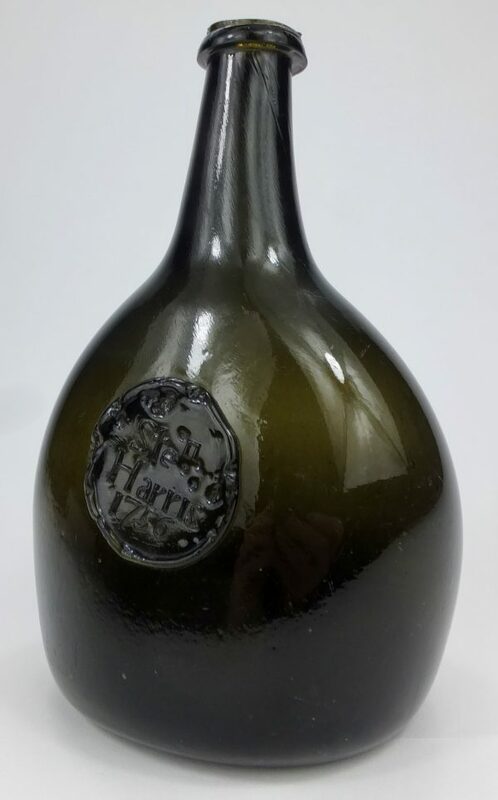 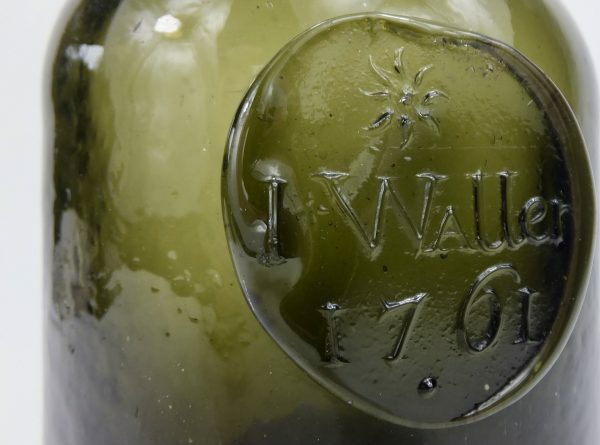 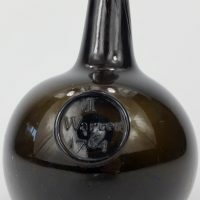 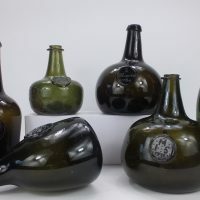 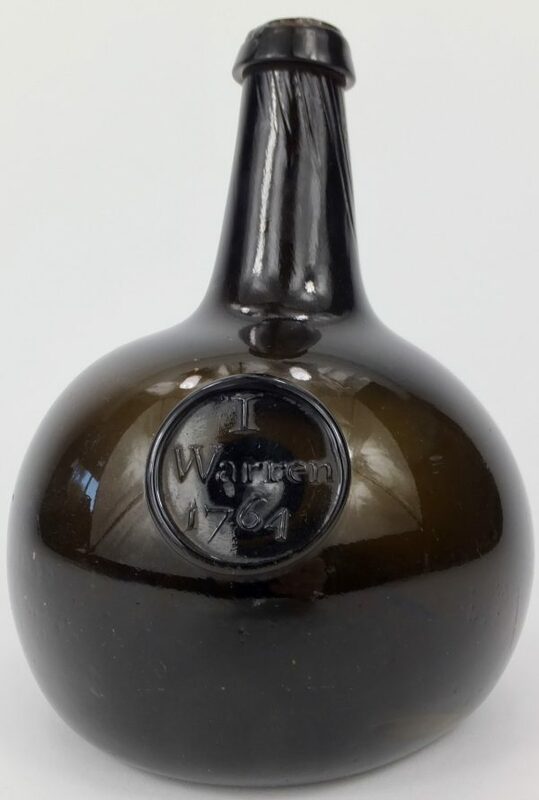 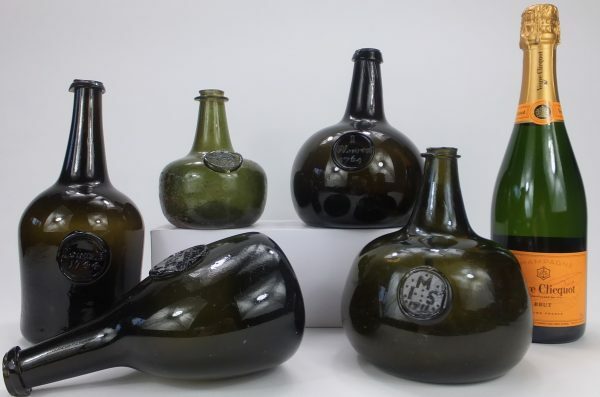 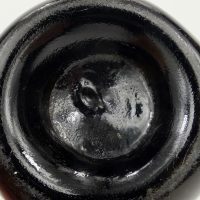 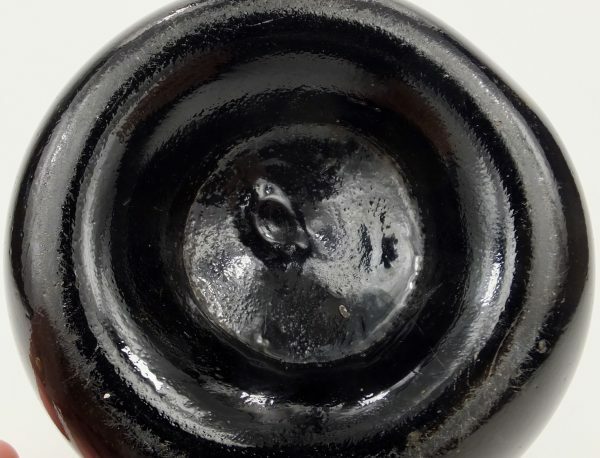 The bottle has a well struck seal with a blob mushroom style top most unlike the regular string rim generally found on bottles of this date. 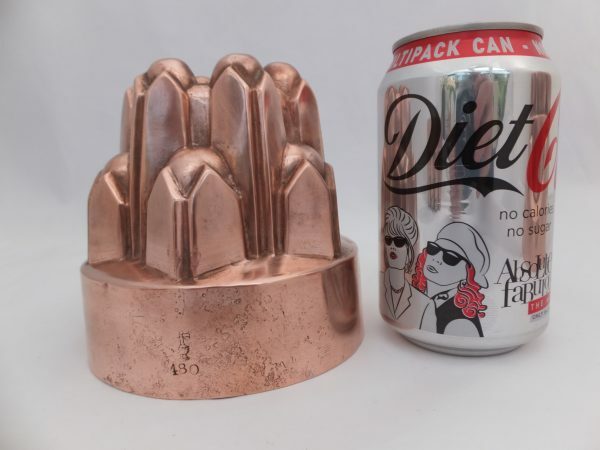 Height 7.5 inches, width 6 inches. 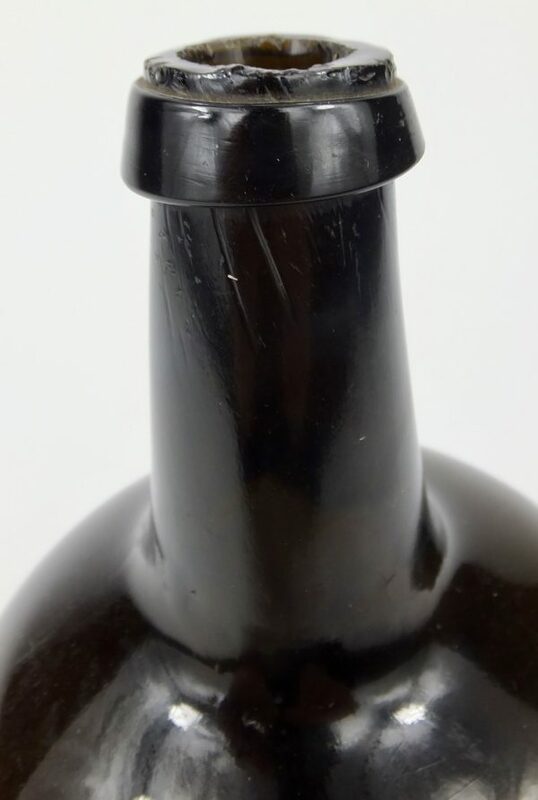 Some minor de corking nibbling on the top rim off the lip otherwise in great condition. 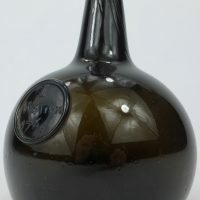 ** Mentioned and pictured on page 725 of Antique Sealed Bottles by David Burton**. 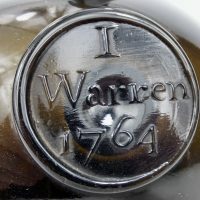 Provenance David Burton collection.